SINGAPORE: Taiwanese authorities are searching for a Singaporean couple in their 20s who allegedly abandoned the body of a newborn girl in a garbage bin in central Taipei. A report on Feb 28 by Taiwan’s Central News Agency – citing information provided by local police – said that the dead infant was found with her umbilical cord and placenta intact. Police believe she was disposed of shortly after her birth, in the early hours of Feb 26, said the report. The grisly discovery was made by an employee of a recycling company in Xindian after a garbage truck arrived with its load from Taipei that morning, added the Central News Agency. The employee found the body wrapped in a plastic bag that was inside a kitchen waste bucket and immediately called the police. After reviewing street camera footage, local police concluded that the baby was likely disposed of in Ximending, central Taipei, at around 3am on Feb 26. The police said that around that time, a man was seen throwing a black plastic bag – which they believe held the body – into a container full of kitchen waste. Police interviewed witnesses near the scene, who claimed they saw the suspect and heard him speaking Mandarin with a foreign accent. Further investigations led the police to a hotel in Taipei’s Wanhua District, which the Central News Agency said was popular with Southeast Asian visitors. The police said they were able to identify a guest who resembled the male suspect, but he had already checked out. 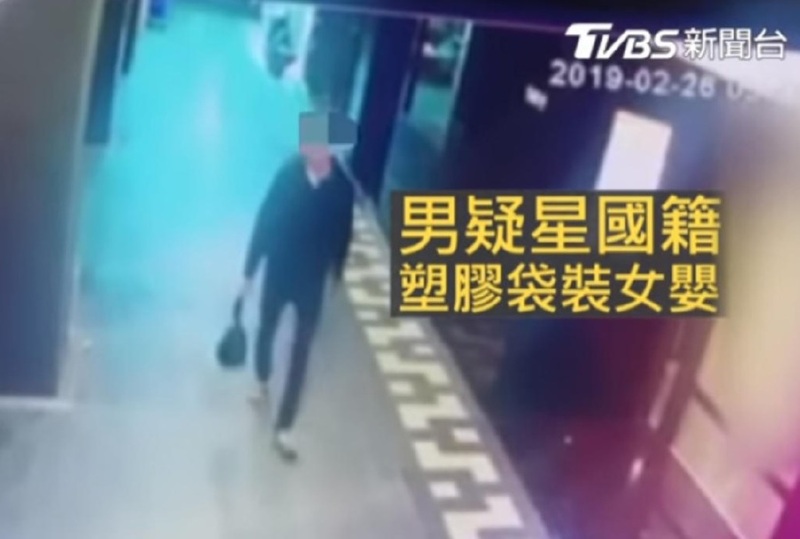 The man left the hotel with a woman on the afternoon of Feb 26 and both are believed to have departed Taiwan later that day, said the police. Bloodstain samples and other evidence were collected from the couple’s hotel room. Another report by Taiwan’s TVBS News said that the man is believed to be 23 years old, while the woman is 24. The Central News Agency said that Taiwan’s Criminal Investigation Bureau has contacted its Singaporean counterpart for “assistance in identifying and questioning the couple”. TODAY has reached out to the Singapore Police Force for comment.